As promised, we’re back with more on Iceland’s wonderful waterfalls. One of our main goals in creating this blog was to provide helpful information for the independent traveler, so we thought we would follow up with a little more information on where and how to shoot all those beautiful chutes we teased you with in our last post. Even if you never make it to Iceland, perhaps this post will inspire you to go on a waterfall adventure of your own wherever you live. Located on a picturesque bend of a fjord in the Westfjörds, this was perhaps our favorite waterfall location of the many we saw. Dynjandi is actually a series of many different waterfalls with the namesake falls located at the very top. A free basic campsite at the base of the falls makes a convenient place to spend the night, and there is a nice but fairly rugged trail that leads you past all of the waterfalls. In addition to the ample opportunities to shoot waterfalls, you can also have some fun with a macro lens shooting the mist-covered flowers and foliage near the river running by the campsite if time allows. We weren’t so lucky with the weather during our visit, so our photos don’t really do justice to the beauty of this area. This spot is so picturesque that it would have been worth hanging around for some better lighting. At the very least, plan on spending several hours at Dynjandi to allow for exploring the numerous waterfalls, hiking to the top of the falls and photographing it all. 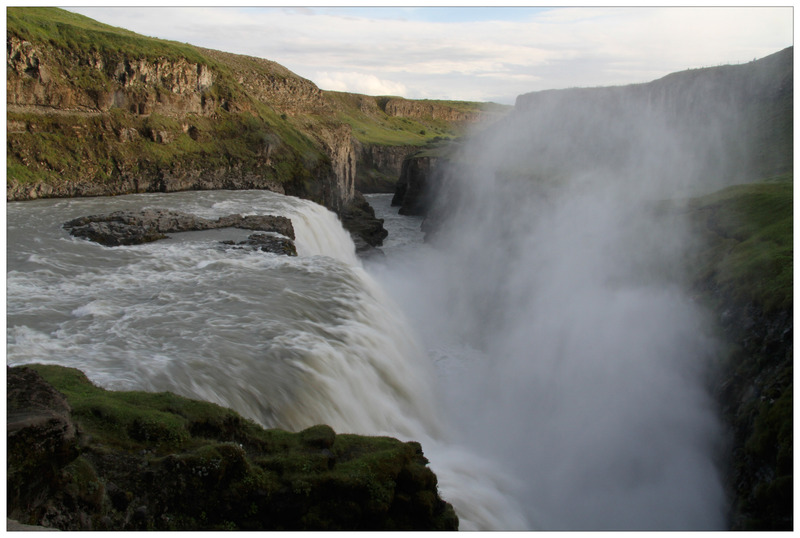 This is a series of three waterfalls located about midway on the two-day trail between Ásbyrgi and Dettifoss. In our opinion, it was definitely the photographic highlight of the trek. Located a full day’s hike from either direction, these falls can also be reached from a much closer trailhead accessible by private car. If you venture to these falls, be sure to bring a tripod and neutral density filters so that you can slow down the motion of the water to create that cool blur effect. Europe’s most powerful waterfall, mighty Dettifoss has been featured in many movies including the opening of Prometheus as well as Tom Cruise’s Oblivion. Watching the constant curtain of water plunging over the fall is mesmerizing, and we found it best to try to freeze the action by shooting at a fast shutter speed. Located in the Lake Myvatn region, Dettifoss is easily accessible by private car, and roads lead up to viewpoints on both sides of the falls. We only saw the falls from the western side, but it would be preferable to photograph from both sides if time allows. Our first visit to the falls was at midday when the sun’s position produced one of the most intense rainbows we had ever seen. You can easily make a whole day out of a visit here by hiking as far north along the gorge as desired. 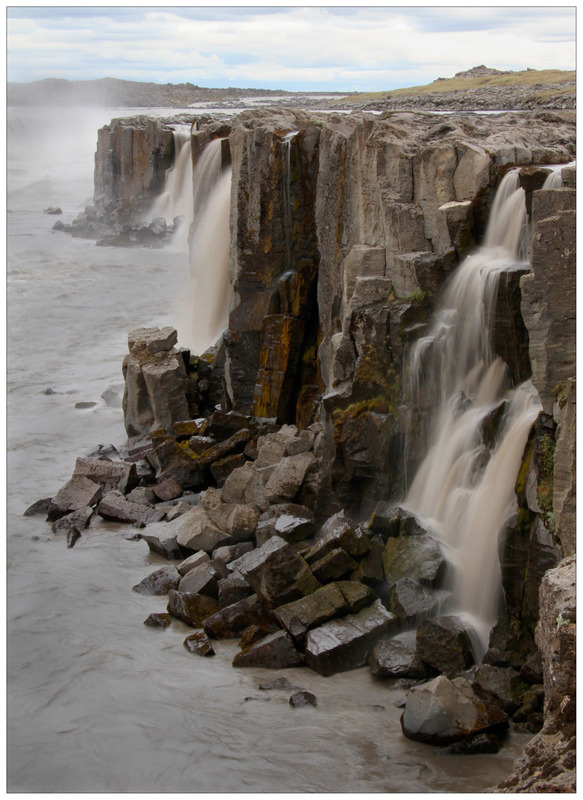 An added bonus: Selfoss is located an easy 20 minute walk to the south from the western side. This very beautiful series of waterfalls that feeds into Dettifoss is located an easy 20 minute hike south of Dettifoss’ western viewpoint. A tripod and neutral density filters are useful for slowing down the water. We wish we had spent more time exploring these falls, so be sure to allocate enough time if you head here. Iceland’s tallest waterfall is accessible by a challenging 3 kilometer hike. Located in a dramatic gorge, the lighting conditions for photography are difficult. We found the trail too treacherous to get a better view than this, but better photographs might be had by those more adventurous and sure-footed than us. Additional views can be had the higher you are willing to go; it may be possible to go up, over and down the opposite side though we can not speak from experience on this one. 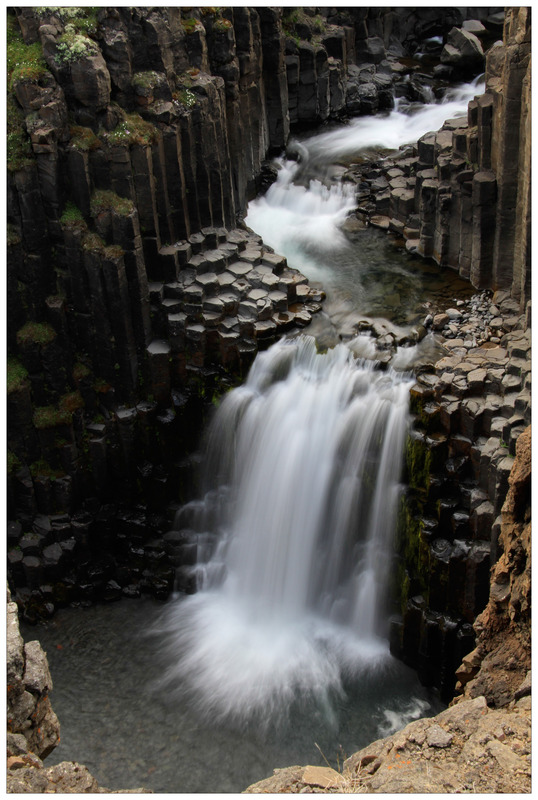 This small, beautiful waterfall is set in a natural amphitheater of columnar basalt, making it one of Iceland’s most picturesque chutes. 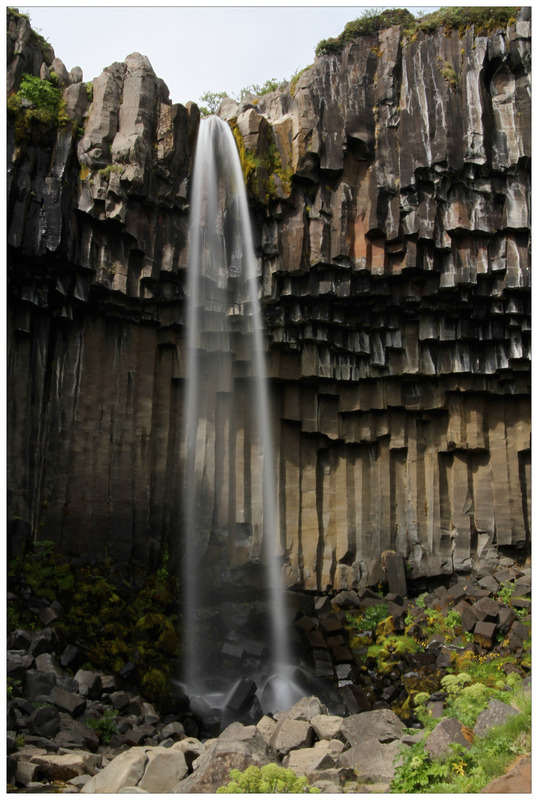 Svartifoss is only accessible by hiking several kilometers on the Skaftafellsheidi trail in Vatnajökull National Park. Svartifoss makes a great destination for a picnic lunch. When we arrived around noon on a pleasant summer day, we found many families splashing around the stream below the falls and sunning themselves on the rocks. Be aware that this can make it difficult to get shots without people. We are not sure if this is always the case, but, when we were there in July, the combination of bright sunlight and low water volume did not allow for us to capture the motion blur we were hoping for even with our strongest neutral density filters. This magnificent waterfall on the Ring Road is easily accessible by car and public transportation. The Þórsmörk-Eyjafjallajökull trek ends here, so it would have been fun to spend some time exploring that trail, but, unfortunately, the weather was miserable when we were there. It probably would have been worth spending the night in the small town nearby to have an opportunity to shoot the waterfall with fewer people and from different angles. 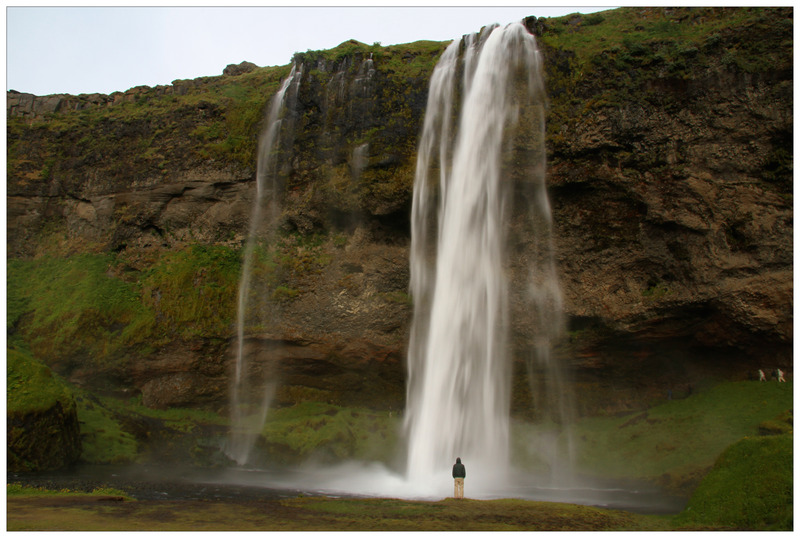 It is located just a few kilometers from Seljalandsfoss. Another photogenic waterfall on the South Coast circuit, Seljalandsfoss is definitely worth a visit. A short trail leads behind the falls, but be sure to have something to keep your camera dry if you do that. We’ve seen some magnificent shots taken from somewhere along the trail around sunset with the waterfall in the foreground. It is located just a few kilometers from Skógafoss, and the two can easily be seen and photographed in a couple of hours. This spectacular horseshoe-shaped waterfall is very easily accessible from the Ring Road, making it one of northern Iceland’s most popular attractions. Watch our short video to get tips on how best to handle the massive crowds during prime visiting hours. A very impressive waterfall set in a primeval landscape of columnar basalt, Aldeyjarfoss is about 42 kilometers off the Ring Road and only accessible by private car. The last 3 kilometers of the drive are technically on F-roads and forbidden to 2WD rentals, but we drove slowly and our little car did fine. We had this spectacular waterfall all to ourselves, proving once again that it always pays to get off the beaten path. Watch this short video for our take on visiting Aldeyjarfoss, but please forgive my absolute butchering of the pronunciation of its name! Located just outside of the small town at Westjörds/Flatey Island ferry port, Flókalundur is accessible by private car and then by short hiking trails up to the falls. This pretty set of waterfalls is located on either side of the road right beside the turnout to the small town of Tálknafjörður in the Westjörds. It is accessible by private car. 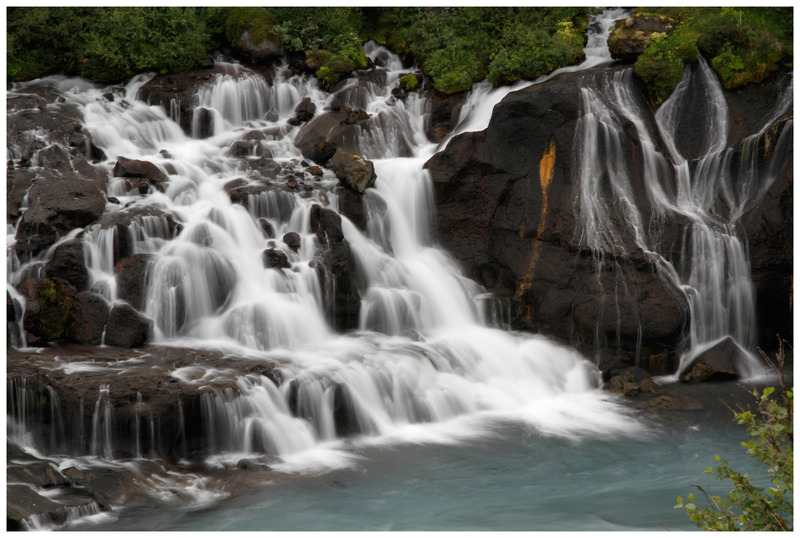 This very striking waterfall is located about an hour’s drive south of Egilstaddir. It is accessible by a hearty hike that gets you a less than desirable view. Unsatisfied we hiked into the gorge above the falls, forded the river to get to the other side and the more desirable view, and then ventured out onto a very precarious perch to get a better angle. This approach is definitely not recommended for the faint-hearted! We passed many waterfalls right on the roads while driving in the Eastfjörds, and you could easily make a day out of driving from fall to fall. Whenever we saw one we liked, we parked on the side of the road and shot for a few minutes before moving on to the next one. Known as the Children’s Waterfall, this striking waterfall near the Golden Circle has an interesting legend and a short walking trail to explore the area around it. This powerful and impressive waterfall in the Golden Circle is easily accessible from Reykjavík by car or public transportation. There is a walking trail leading up the gorge to the falls with lots of mist and lots of people. Our guidebook said it was best photographed in late afternoon light, but we had rainy skies so we can’t confirm this to be true. Nonetheless, it was impressive in person, and we’ve seen many amazing photographs of it covered in ice making us want to plan a trip back sometime in the dead of winter. We must be crazy! Another advantage of a winter trip, however, would be an opportunity to photograph the northern lights which are said to be quite spectacular in Iceland. So, there you have it. That’s our take on all the waterfalls we saw in six weeks of touring Iceland, and, believe it or not, these are just the tip of the iceberg of all of Iceland’s falls. Which is your favorite? Wow there must be more waterfalls per area there than anywhere in the world. Fantastic shots. I can see where cropping out the crowds would be tricky. Thanks, Lyle. Iceland certainly is blessed in the waterfall department. Luckily, you don’t see many crowds most places in Iceland. This website is incredible, with a lot of useful tips ! I love it !! It will help me plan my journey. Thank you !!!! We are so glad that you are finding the information useful. Please be sure to stop back by and let us know how you enjoyed your trip to Iceland. You are going to have a terrific time there. Alison/Matt saw your CACCA presentation 12/13/14. Thank you for the inspiration. Mentioned to Alison that I wanted to send you hot links about an Icelandic ebook and an Icelandic music link. Send me your email address so that I can forward links. Thank you so much for coming to our program and looking us up online. We would love to see/hear your Iceland links. We will email right away. Cheers!